Dangerous Dads is about offering simple. low cost activities that help families reconnect with each other and with their local environment. Ian Blackwell says, "the idea is taking hold: most dads really want to have something fun to do with their children that isn't all about spending money." Based in Totnes, Ian has now established eleven Dangerous Dads projects and hopes to have over 20 within the next year. "There are lots of organisations keen to work with me on this," says Ian, "because dads are such a hard group to engage with. Children's services in particular are almost desperate to find ways to work with dads - particularly those from disadvantaged backgrounds - and we can certainly help them with that." Each month, mostly on a Saturday afternoon, the groups run activities for dads/male carers and their children, such as blackberry-picking, pizza making or den building. One very popular activity Dangerous Dads organises is 'Silly Science' where dads and children set up interesting experiments such as Coke & Mento fountains and water powered rockets. They have set up a Dangerous Dads Network to support people who want a dads group where they live'. 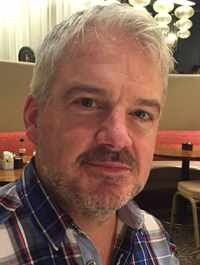 When I met Ian Blackwell recently I gently challenged him about the "Dangerous Dads" name, asking if it is a bit too much "out there" or could be taken to imply that the group didn't take risk seriously enough. Ian countered that the name is popular, easy to remember and actually teaching kids about risk is an important role for dads. He also said that initially some organisations do raise questions about the name but once they've thought it through they are almost always completely supportive, especially when the dads and children say they 'love the name'. In fact, over-protecting children from every risk in life is increasingly seen as counter-productive both because it stops children from learning to assess risk themselves and because it prevents them from doing all sorts of healthy outdoor activities. Two examples are encouraging kids to understand about fires or to use a pen-knife which most outdoor groups now recognise is a useful skill. 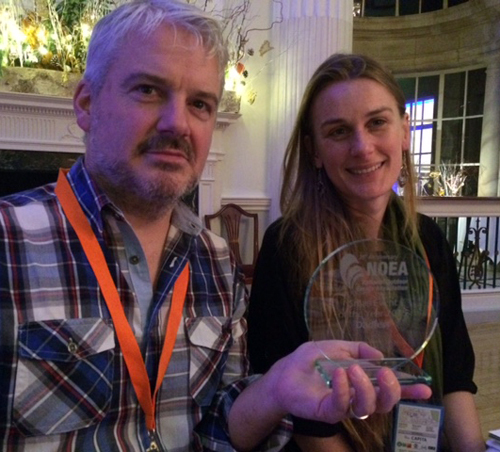 This week the Dangerous Dads Network won a National Outdoor Events Association award for its annual DadFest event. This is a weekend festival, held in South Devon in September, where dads and their children meet up and camp out together. It includes wild walks, campfire story-telling, archery, star gazing, magic shows, kids talent shows and the World Dad Dancing competition - which is said to come with cringe-alert warnings. The children are usually between 2 and 10, while dads can of course be any age. The judges said, "this is an event that understands its community and speaks to it. It has a clear vision, is innovative and reflects part of society in its representation .... and how can you go wrong with dad dancing?" Who are the Woodcraft Folk?